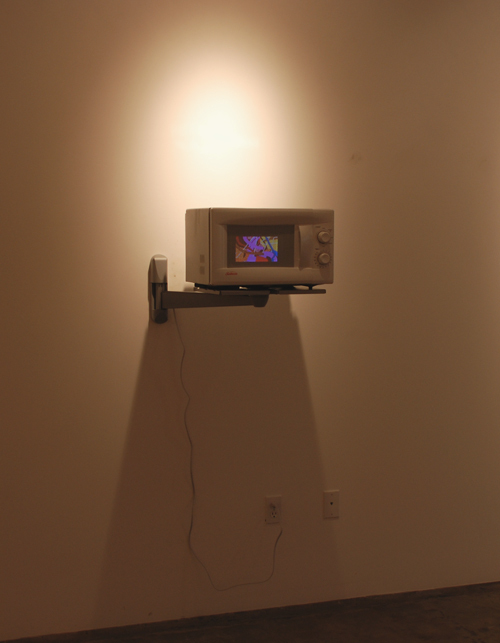 An electronically modified Microwave. 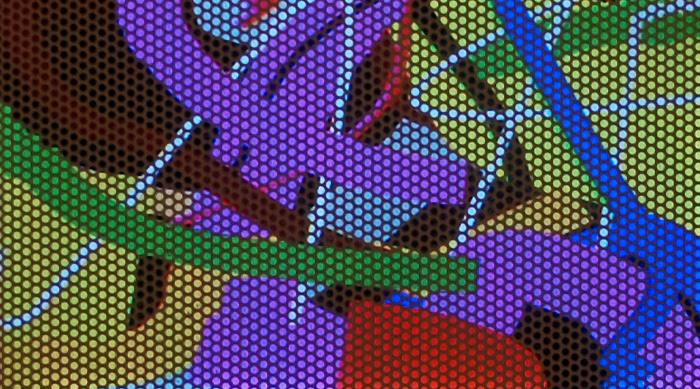 It uses a slowly-rotating, generative, custom software algorithm which randomly chooses and places a bunch of squirmy, hand-drawn lines. 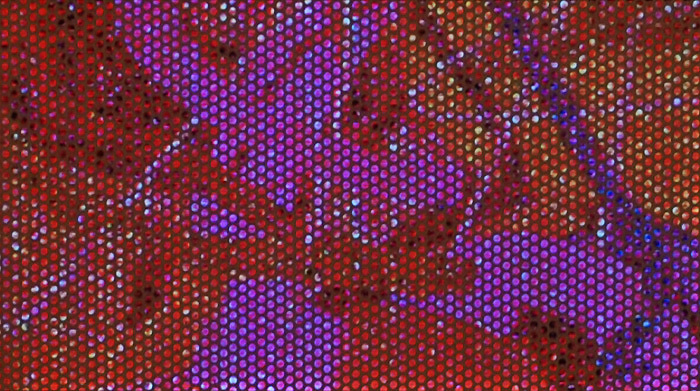 The final composition is shown briefly and then 'cooked' into colored static. 10 different compositions were created/cooked onto the DVD. 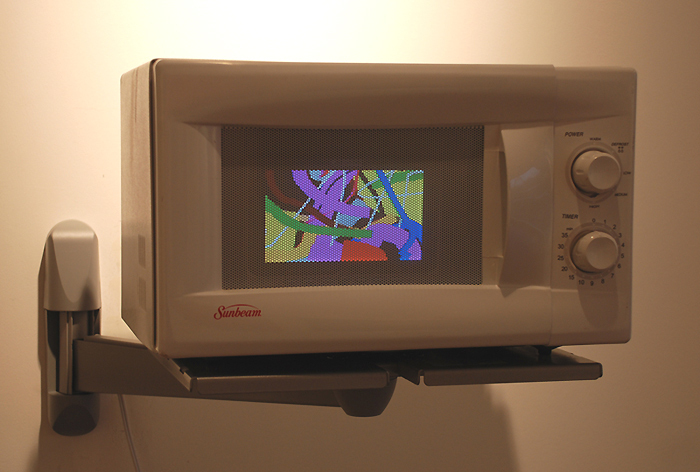 It also gives new meaning to the idea of low resolution digital art, as the viewer is forced to see the video through a benday dot screen which naturally occurs on the microwave door.